1st Offer Immediate Upon Sign Up! * A few restrictions apply. Please review the Fine Print on each offer for details. To get the best available offers at TI, please click here to sign up with EMAIL for the MyTI Guestbook membership today! MyTI Guestbook offers are based on availability. Blackout dates apply, and are subject to change. Rates displayed in the offer already include any applicable discounts, and are subject to change at any time until confirmed with a deposit. Upgrades strictly based on availability at check-in. 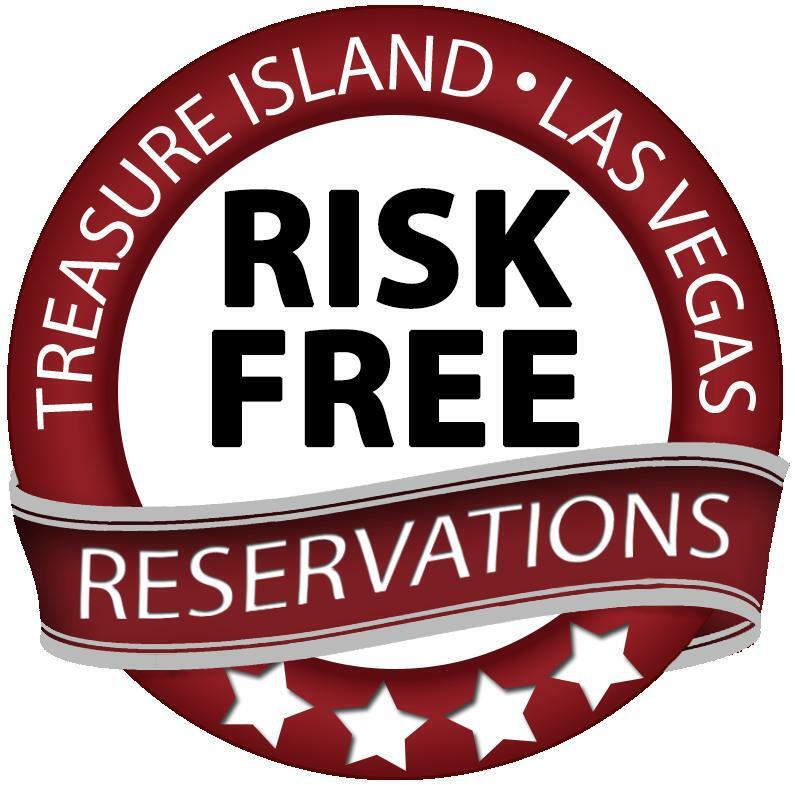 Most MyTI Guestbook offers do not include the $37 + tax per night resort fee or the Clark County Room Tax of 13.38%, each of which are subject to change. Advanced booking and special promotional codes may be required. Cancellation fees may apply. MyTI Guestbook offers are not available for guests attending meetings, conventions or other groups. MyTI offers are non-transferable, cannot be used in conjunction with any other offer, and may be modified or discontinued without notice. Additional restrictions may apply. TI Management reserves all rights. TI endorses responsible gaming. If you or someone you know has a problem gaming responsibly, please call the 24-hour Problem Gamblers HelpLine at 800.522.4700. © Treasure Island, LLC. All rights reserved. 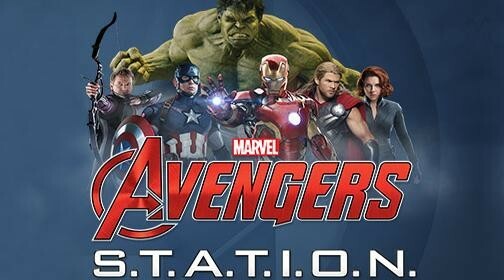 20% Off admission to Marvel Avengers S.T.A.T.I.O.N. 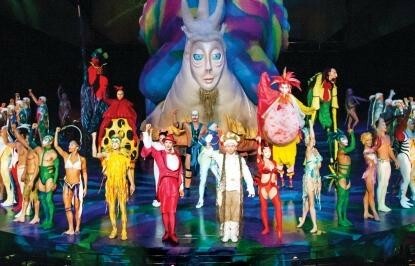 Book now and receive a special offer to Mystère by Cirque du Soleil at check-in! * MyTI Guestbook membership required. Rates vary based on availability and travel dates. Higher rates apply on weekends, conventions, holidays and special event dates. Other restrictions apply. See the Fine Print for details. MyTI Guestbook membership required. Free enrollment upon booking reservation is valid. 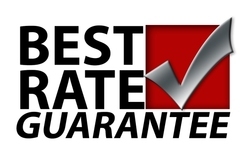 The TV Ad Special offer requires a two (2) night minimum, and deposit equal to the first night room and tax in order to confirm the reservation. In addition to the discounted Deluxe Room rate (based on limited availability) this package includes the following ADDED VALUES: 2-for-1 Dinner Buffet at the Corner Market Buffet, 2-for-1 draft beer at Gilley’s Saloon, 20% off services at Oleksandra Spa & Salon, and 20% off admission to Marvel Avengers S.T.A.T.I.O.N. (Added value restrictions are noted below.) Room deposit is refundable if reservations are cancelled at least 72 hours prior to 3:00 p.m. Pacific Time on the confirmed day of arrival. Reservation must be in the name of the guest checking in who must be at least 21 years of age. Credit/debit card used for deposit along with valid identification required upon check-in. The TV Ad Special room rates are strictly based on availability, subject to change until confirmed with a deposit, with a few blackout dates subject to change. 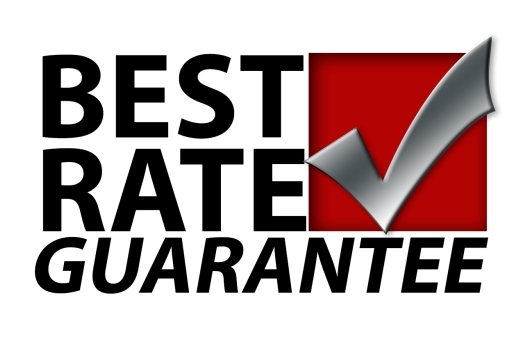 All rates are per room, per night, based on single or double occupancy, and do not include an OPTIONAL* $37.00 plus tax, per night, resort fee or the 13.38% Clark County Room Tax, each of which are subject to change. Add $30.00 plus tax, per night, for each third and fourth person sharing the same room, regardless of age. Friday and Saturday nights may be purchased at higher rates, which are determined based on arrival and departure dates. Upon check-in, guests who confirm the TV Ad Special offer will receive one (1) 2-for-1 lunch or dinner voucher valid at the Corner Market Buffet restaurant Monday thru Friday, and one (1) 2-for-1 draft beer voucher valid at Gilley’s Saloon, with restrictions (subject to change) noted on each voucher. Guests will also receive one (1) 20% Off Oleksandra Spa & Salon services voucher. Advanced spa or salon reservations will be required, and services are based on availability. Savings of 20% may be used towards a spa or salon treatment minimum purchase of $100 for one person. The Spa voucher is non-transferable, has no cash value, and may not be combined with any other offer. In addition, 20% off adult admission to Marvel Avengers S.T.A.T.I.O.N. will be available to those hotel guests that show valid I.D. and TI hotel room key at the attraction box office. All offers included in the TV Ad Special offer are non-transferable and cannot be used in conjunction with any other offer. Each added value is also based on limited availability. The TV Ad Special is not available for previously confirmed reservations as well as guests attending meetings, conventions or other groups. Additional restrictions may apply. This offer may be modified or discontinued without notice. TI Management reserves all rights. © Treasure Island, LLC. 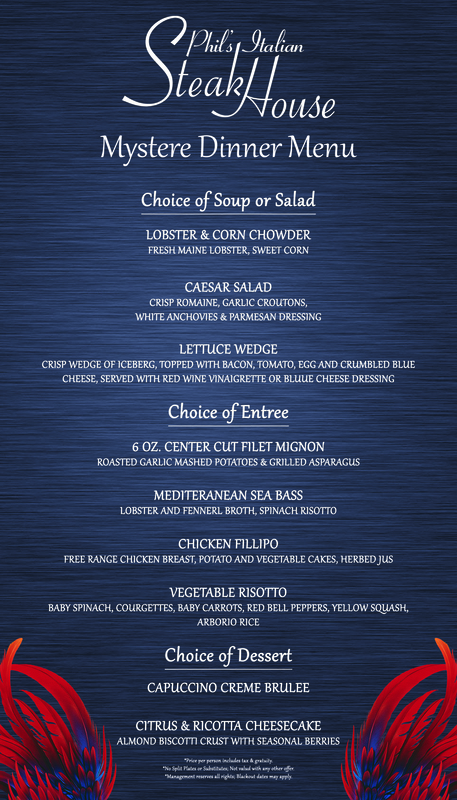 To take advantage of this special offer, please call (800) 288-7206 and ask for the "TV Ad Special", or Book Online. * Resort Fee is OPTIONAL exclusively with this TV Ad Special offer as well as qualified TI Players Club members and select meeting groups. Have a group* of 10+ rooms? Then we have some HOT DATES with amazing offers! 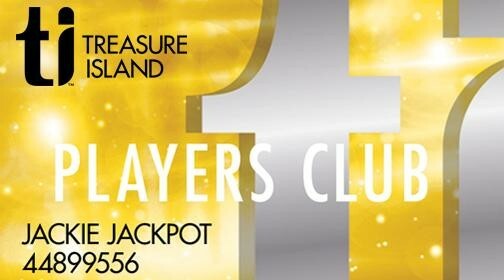 Treasure Island has been named one of the best group hotels in Las Vegas for oustanding value and award winning group sales, catering and banquet services. Plan your perfect group event at TI Las Vegas! * For groups requiring less than 10 rooms, please contact TI Room Reservations directly at 1-800-944-7444. All hot dates are subject to change and discounts are based on minimum qualifications which may vary based on the hot dates requested. TI Management reserves all rights. 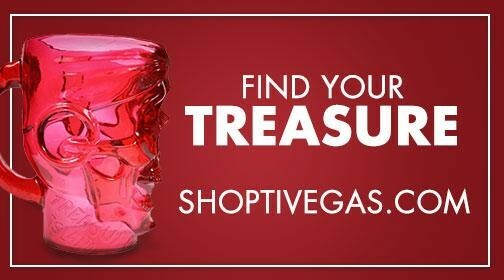 The ideal Las Vegas Strip experience is ready for you at an incredible value in this package featuring Buy One Get One (BOGO) Free added values! 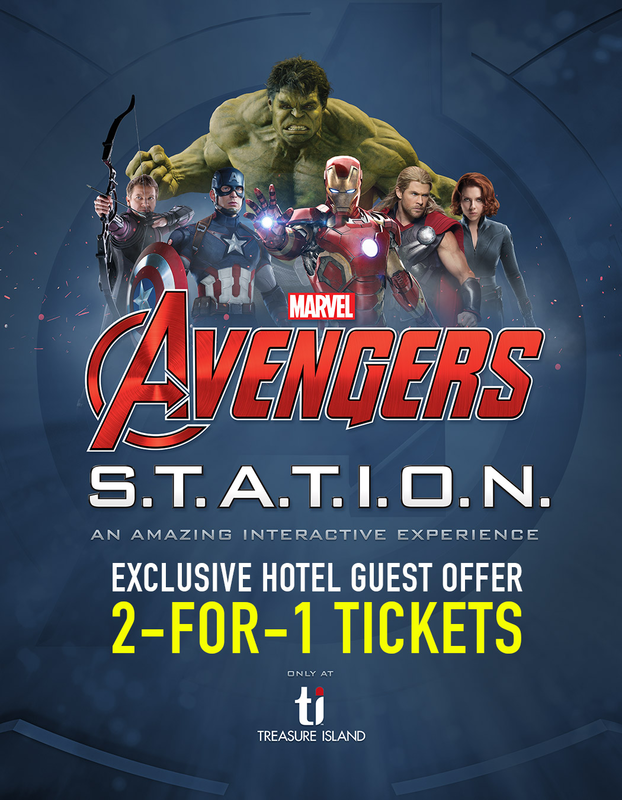 BOGO Free Admission to Marvel Avengers S.T.A.T.I.O.N. * Rates displayed online include discounts. Additional restrictions apply. See the Fine Print for details. Room deposit is refundable if reservation is cancelled at least 72 hours prior to 3:00 p.m. Pacific Time of the confirmed arrival date. Reservation must be in the name of the guest checking in who must be at least 21 years of age. Credit/debit card used for deposit along with valid identification required upon check-in. Discounted room rates are strictly based on availability, and subject to change until confirmed with a deposit. Blackout dates may apply and are subject to change. All rates are per room, per night, based on single or double occupancy, and do not include a $37 + tax daily resort fee or 13.38% tax, each of which are subject to change. Add $30 plus tax, per night, for each third and fourth person sharing the same room, regardless of age. Reduced discount available on higher demand dates, which are based on arrival and departure dates. Upon check-in, guests who confirm this special offer will receive one (1) Buy 1 Get 1 (BOGO) Free Dinner at Seafood Shack voucher, and one (1) Buy 1 Get 1 (BOGO) Free Draft Beer voucher valid at Gilley’s Saloon, with certain restrictions noted on each voucher. Discounts may not be combined with any other offers. Guests who confirm this special offer also receive one (1) Buy 1 Get 1 (BOGO) Free adult admission to the Marvel Avengers S.T.A.T.I.O.N. exhibit upon showing hotel room key and valid identification at the exhibit box office. Exhibit admission date must occur between the arrival and departure date of the confirmed reservation. All offers included with this offer are non-transferable and cannot be used in conjunction with any other offer. Each added value is also based on limited availability. This offer is not available for previously confirmed reservations as well as guests attending meetings, conventions or other groups. Additional restrictions may apply. This offer may be modified or discontinued without notice. TI Management reserves all rights. ©2018 Treasure Island, LLC. To take advantage of this special offer, please call (800) 288-7206 and ask for the “TI Las Vegas Strip Experience" offer, or Book Online. Online special. Save up to 15% OFF our standard room and suite rates, includes ALWAYS FREE PARKING for both the self-parking garage and valet service. Save even MORE when you sign-up for the MyTI Guestbook to receive private, members only offers via email. TIvegas room and suite rates are based on availability. Blackout dates apply, and are subject to change. Rates displayed already include any applicable discounts, and are subject to change at any time until reservation is confirmed with a deposit. TIvegas room and suite rates do not include the $37 plus tax, per night, resort fee or the 13.38% Clark County Room Tax, each of which are subject to change. Advanced booking is required. Room deposit is refundable if reservations are cancelled at least 72 hours prior to 3:00 p.m. Pacific Time on the originally confirmed arrival date. TIvegas room and suite rates are not available for guests attending meetings, conventions or other groups. 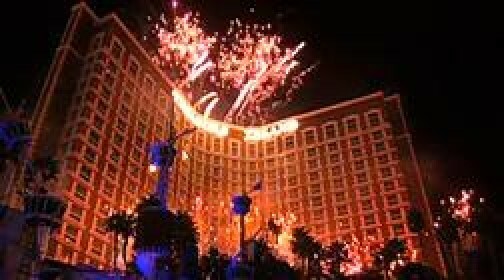 TIvegas room and suite rates are non-transferable, cannot be used in conjunction with any other offer, and may be modified or discontinued without notice. Additional restrictions may apply. TI Management reserves all rights. TI endorses responsible gaming. If you or someone you know has a problem gaming responsibly, please call the 24-hour Problem Gamblers HelpLine at (800) 522-4700. Save money and get your best value in Las Vegas when you book your airfare and hotel room or suite together. TI Vacations also allows you to bundle show tickets, sightseeing tours, transportation, and more! 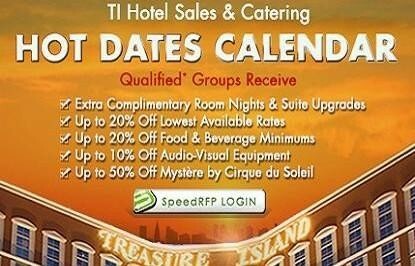 Hotel promotions on the TreasureIsland.com Special Offers page may not apply to air flight + hotel packages. Air flight + hotel packages are non-commissionable to travel agents. Air flight + hotel package promotions apply only to bookings completed on the TI Vacations website. Your air flight + hotel package booking is handled through Global Booking Solutions, operator of TI Vacations. © Treasure Island, LLC. All rights reserved. Save up to 20% by booking early to see one of our exclusive headliner comedians and other live performances in the intimate 1,600 seat Treasure Island Theatre, or the Treasure Island Ballroom. * Prices do not include Live Entertainment Tax, Facility Fee or Box Office Service/Convenience Fee. Advance reservations required, based on limited availability. Promotional prices are subject to availability and may be discontinued at any time. Please call direct 1-702-894-7722, or toll free 1-866-712-9308, or book online by clicking on the offer links above. 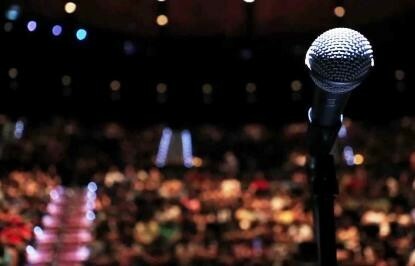 ​Ticket prices may not include Live Entertainment Tax or Box Office fees. Please call 1-866-286-3809, or 1-702-894-7722 for details. © Treasure Island, LLC. All rights reserved. * Prices do not include Live Entertainment Tax or Box Office Service/Convenience Fee. Advance reservations required, based on limited availability. Offer is subject to very limited availability. Please call direct 1-702-894-7722, or toll free 1-866-712-9308, or book online by clicking on the offer link above. Prices do not include Live Entertainment Tax or Box Office Service/Convenience Fee. Advance reservations required, based on limited availability. Offer is subject to very limited availability. 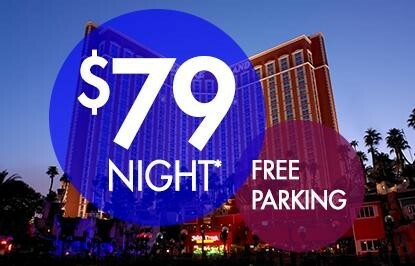 Please call direct 1-702-894-7722, or toll free 1-866-712-9308, or book online at TIvegas.com. Fire up your imagination and get ready for an evening that is all about stimulating the senses! Enjoy a tempting prix fixe menu at one of the acclaimed restaurants at TI Las Vegas, then experience Cirque du Soleil's thrilling performance of Mystère. As a special bonus, you will also receive a complimentary small popcorn to enjoy in the theatre. * Prices are per person, and do not include Live Entertainment Tax or Box Office fees, and may not be available for groups during certain times or dates. 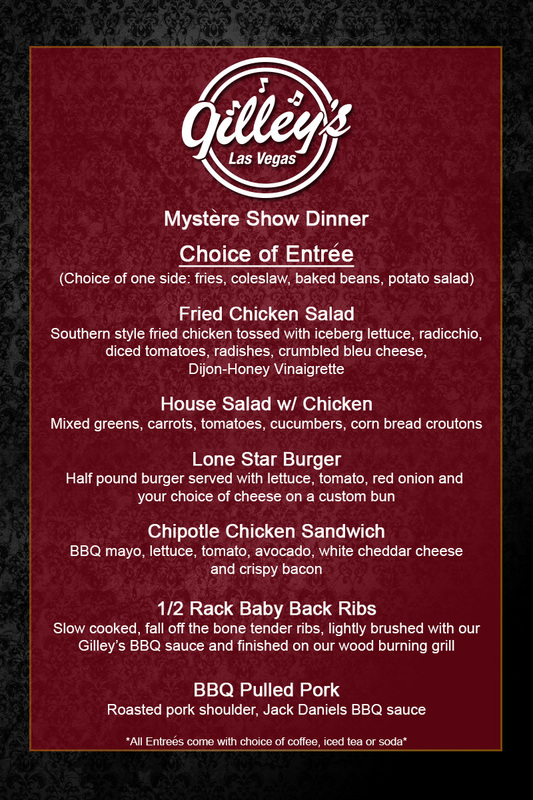 ** Gilley's dinner package is served from 4:30 p.m. to 6:00 p.m. 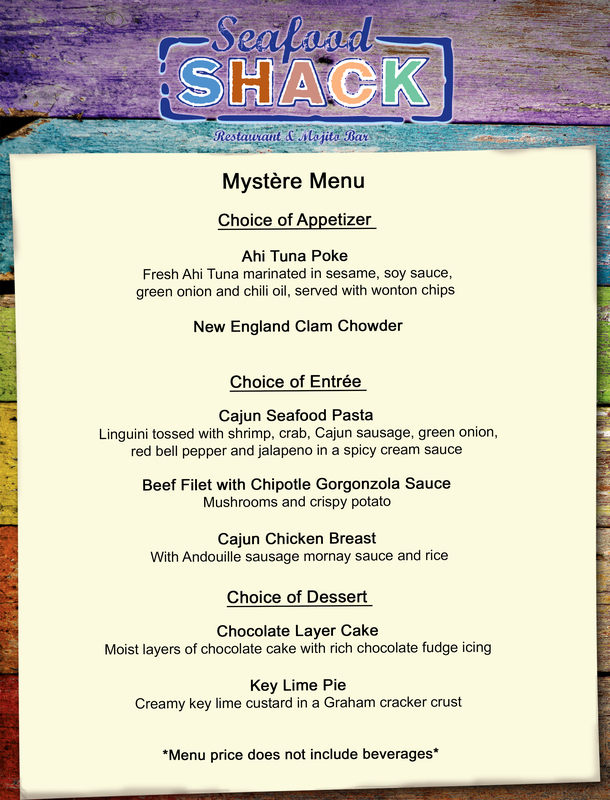 Please call toll free 1-866-286-3809 (option 3), or call direct 1-702-894-7722 and ask for the "Mystère Dinner Show Package". 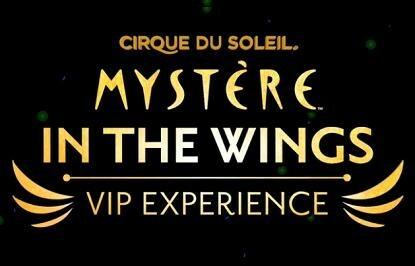 Mystère + Dinner package is subject to limited availability. Beverages are not included unless otherwise indicated on the preset menu. Some blackout dates may apply. Box Office fees are non-refundable. Offer is non-transferable and not valid with any other offer. TI management reserves all rights to modify or cancel this promotion. © Treasure Island, LLC. * Package price does not include Live Entertainment Tax or Box Office service fees. 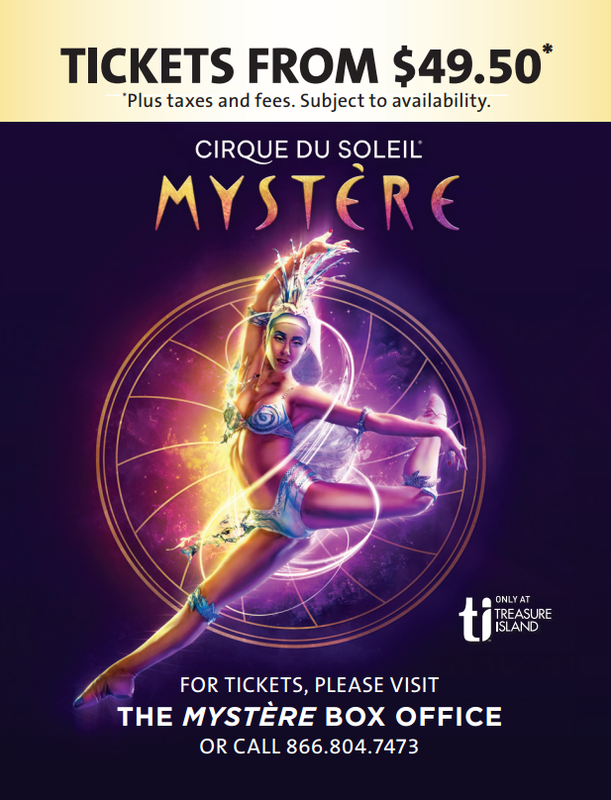 This special package may be booked by calling toll free 1-866-286-3809 (option 3), or call direct 1-702-894-7722 and ask for the "Mystère 4 Pack", or book online. Mystère 4 Packs are based on limited availability in Category 3 seating. Blackout dates may apply and are subject to change. Box Office fees are non-refundable. Offer is non-transferable and not valid with any other offer. TI Box Office management reserves all rights to modify or cancel this offer at anytime. © Treasure Island, LLC. 2-for-1* entry is exclusive to TI Hotel Guests only, and available for a limited time. The Marvel Avengers S.T.A.T.I.O.N. (Scientific Training and Tactical Intelligence Operative Network) is a completely immersive and educational experience that brings visitors into the world of The Avengers. Welcoming all ages, you will be granted access to the official S.T.A.T.I.O.N. headquarters and taken deep into the Marvel Cinematic Universe. * 2-for-1 includes one complimentary ticket with one purchased at full price, and is exclusive to TI hotel guests. See the Fine Print for more details. 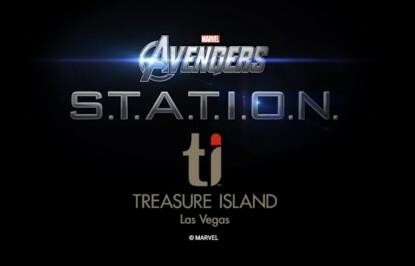 * 2-for-1 includes one complimentary ticket with one purchased at full price, and is exclusive to TI hotel guests with valid photo ID and room key card presented at Avengers S.T.A.T.I.O.N. box office. $5 service fee applies to each ticekt. Offer not valid for mobile training device rental. This offer is available for a limited time, may not be combined with any other offer, and subject to change or end sooner without advance notice. Save 20% on Food & Beverage! Advance purchase required. No purchases allowed after check-in. 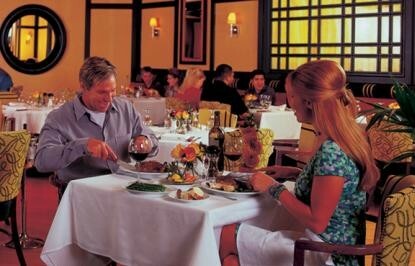 $100 dining credit posted to hotel guestroom folio after $80 payment is received. 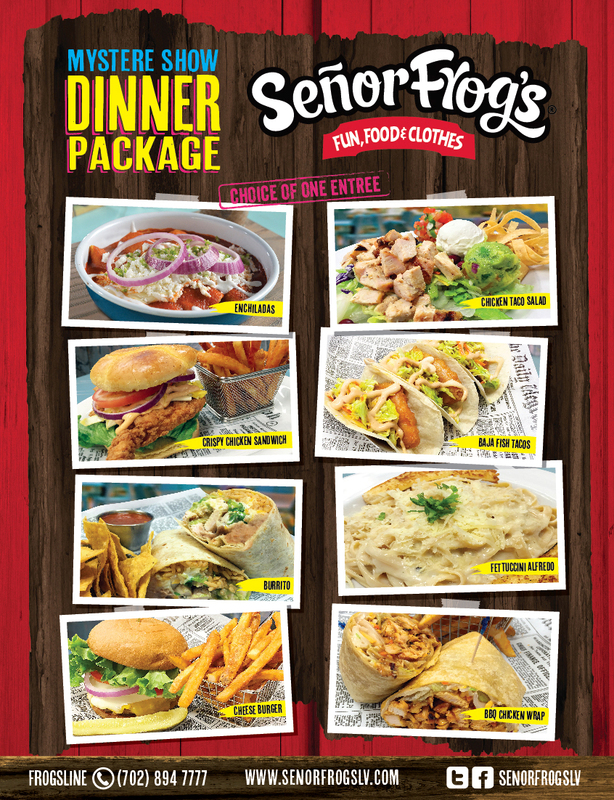 Credit is not valid at Señor Frog’s or any TI retail stores and shops. 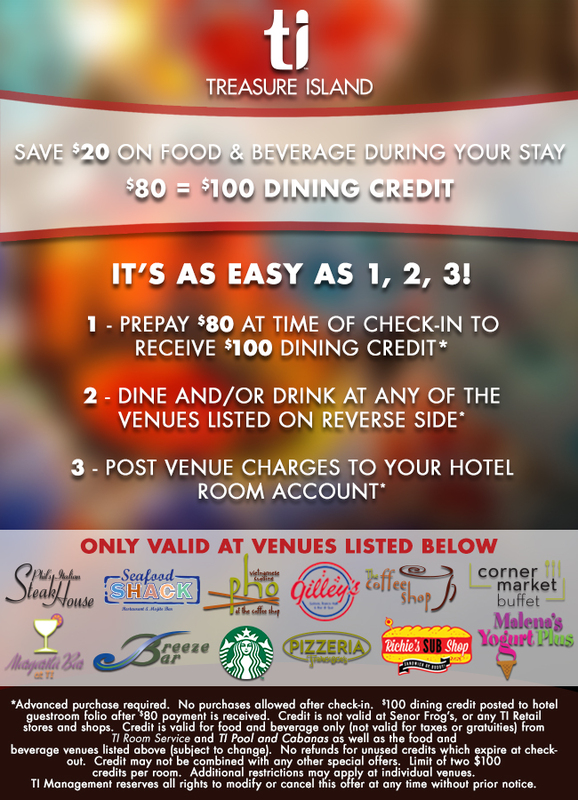 Credit is valid for food and beverage only from TI Room Service as well as the food and beverage venues listed on the voucher (subject to change). No refunds for unused credits which expire at checkout. Credit may not be combined with any other special offers. Additional restrictions may apply individual venues. TI management reserves all rights to modify or cancel this offer without prior notice. 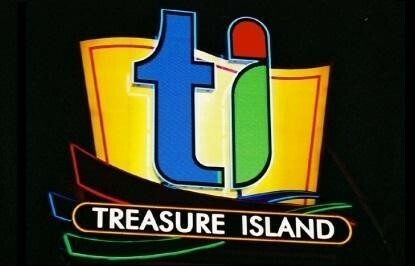 © Treasure Island Hotel & Casino.